Struggling to keep up with our amazing run of competitions? Well, we'd hate for you to feel fatigued, so we've teamed up with Philips to give you the chance of winning a state-of-the-art LightFrame 2 monitor. This gorgeous 23.6in panel is LED-backlit and offers a full-HD resolution, but what really catches the eye is the LightFrame bezel. 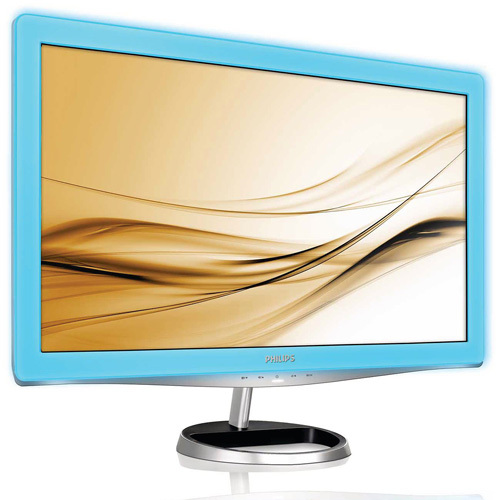 Based on the scientific principle that blue light passed through the eye's third receptor refreshes your biological clock, energizes you and gives you a greater sense of well-being, this monitor is designed to reduce eye fatigue during long periods of use. Nice monitor and comp. Would go well with my philips moodlight! Looking at the picture alone already refreshes my biological clock, energizes me and gives me a greater sense of well-being! So cool prize. Thanks again, Hexus for another exciting contest! Another awesome competition… now if only I could win one of them. cool looking monitor but bit surprised to see VGA over a DVI input in the specs!